2. Enter your Augsburg email address on the text box and click on "Sign up". Check your inbox for an email similar to the one pictured below. 3. 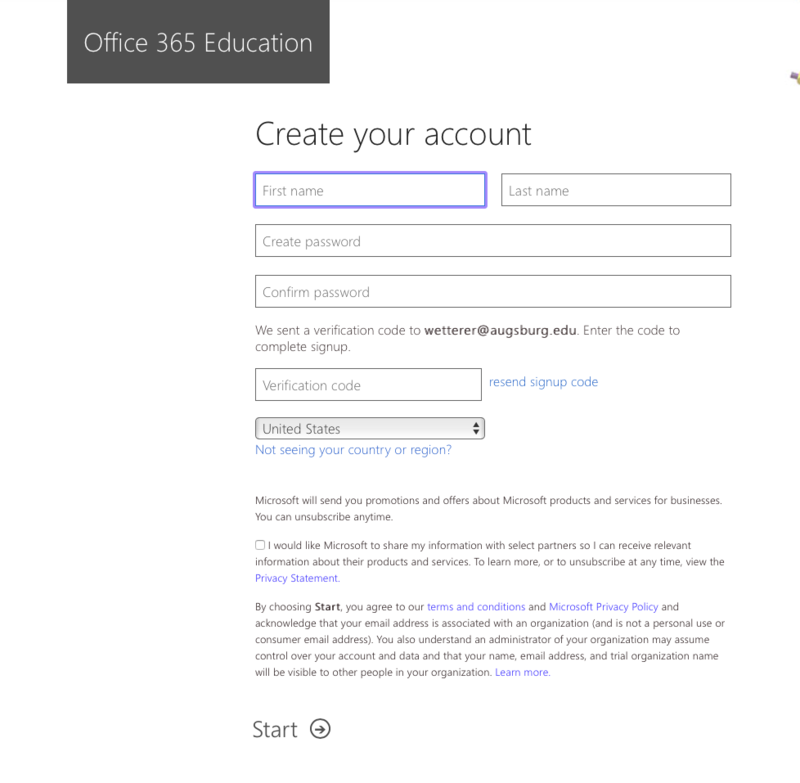 Click on "Complete Office 365 Education signup" on that same message and create a profile. 4. Once your profile has been created, you will be directed to the installation page so click "Install now". 5. Once the installation is completed, you will be prompted to activate the product by entering your Augsburg email address and clicking "Next". 6. 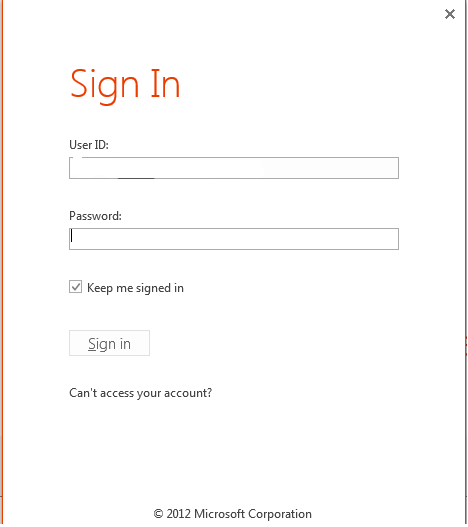 Sign in by entering your Augsburg email address and the password you set earlier when you created your profile. 7. 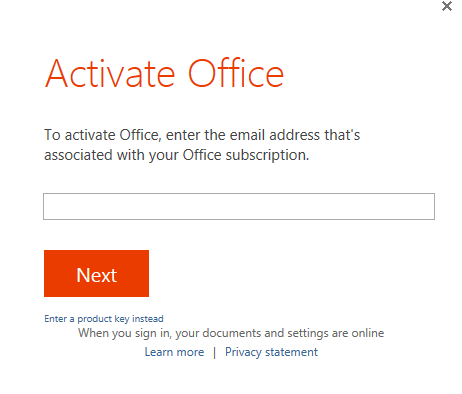 Now you can start using Microsoft Office.